The Honda CBR600RR is a 599cc Honda "Supersport" Motorcycle that was introduced in 2003 to replace Honda's CBR600F series motorcycles. 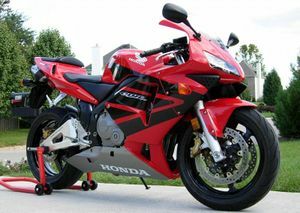 The CBR600RR was developed from and inspired by the Honda RC211V MotoGP bike just like the Honda CBR1000RR. 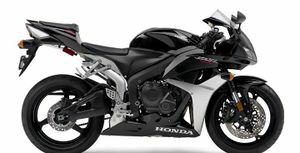 The similarities in appearance between the CBR600RR and RC211V are obvious and intentional. 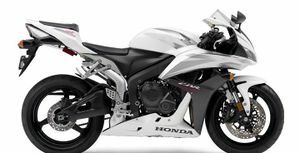 Underneath these looks lie MotoGP technologies that were never before seen on a production Motorcycle such as the Unit Pro-Link rear suspension and Dual Stage Fuel Injection (PGM-DSFI). 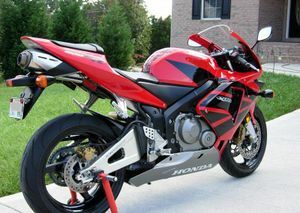 Both were taken directly from Honda's MotoGP bike. 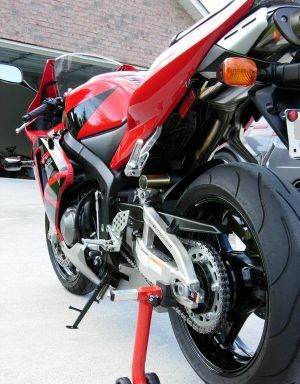 While it's not uncommon for street bikes to utilize racing technology, this is the first time such totally new technologies found their way to the production line the same year they made their way to the professional racing grid. 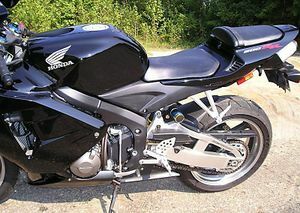 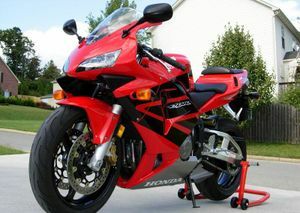 When released in 2003 with its advanced braced swingarm, center-up exhaust system, and more agressive riding position, it was the first Honda supersport bike to be developed as a race machine first, hence the "RR" designation for "race replica". 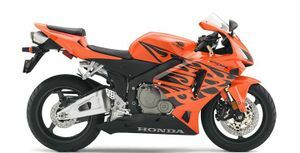 The 2003 model carried over to 2004 technically unchanged, but with new color schemes. 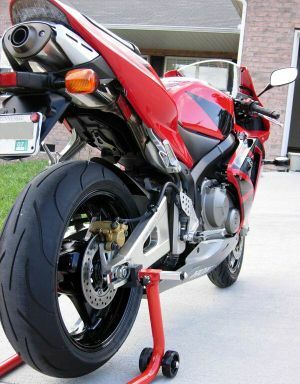 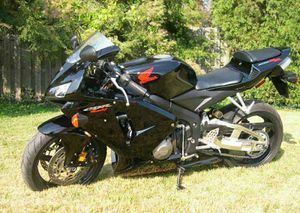 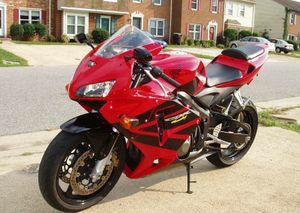 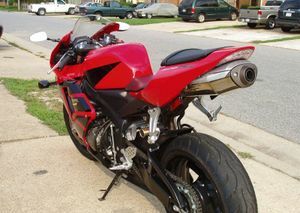 In 2005, the CBR600RR received a major revision with new body work, fully adjustable inverted front forks, a set of track-inspired radial-mounted disc brakes with four-piston calipers, and an entirely new aluminum frame, swingarm and rear shock. These changes along with additional refinements to the engine and exhaust system all came together to bring CBR600RR's weight down nine pounds. 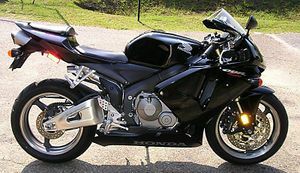 MSRP for the 2005 model was $8,799. 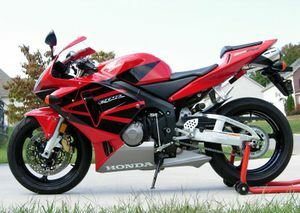 Except for new color schemes, the 2006 model is unchanged from the 2005 model and has a MSRP of $8,999. 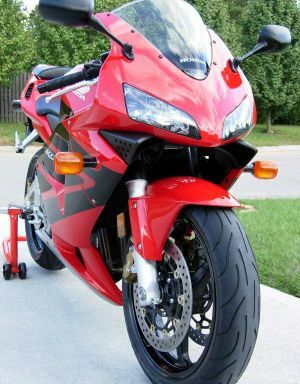 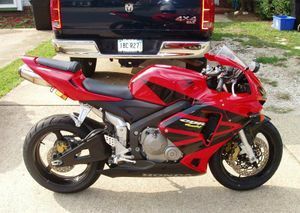 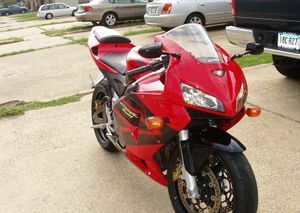 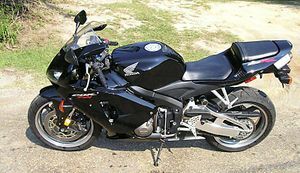 For the 2006 model year, the CBR600RR competes with the Suzuki GSX-R600, the Yamaha YZF-R6, the Ducati 749, and the Triumph Daytona 675. 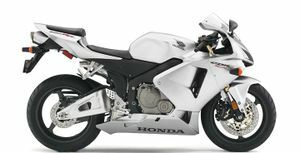 Although these bikes have proven to be more powerful, the CBR600RR, with its stand-out suspension and handling, is known for doing everything well and provides the rider with the confidence to do so. 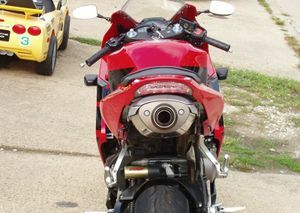 California version meets CARB 2004 emissions standards. 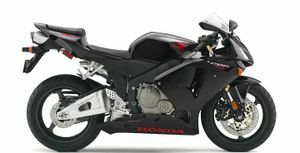 1 year: Transferable, unlimited-mileage limited warranty; extended coverage available with a Honda Protection Plan. 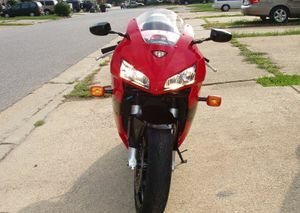 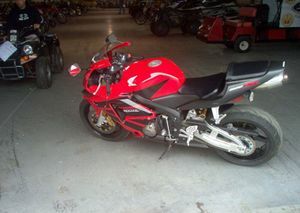 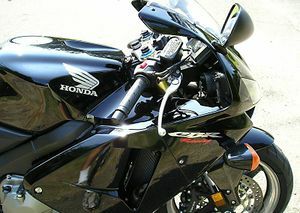 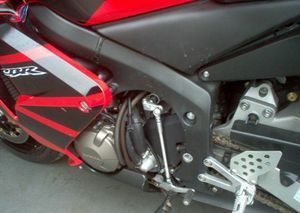 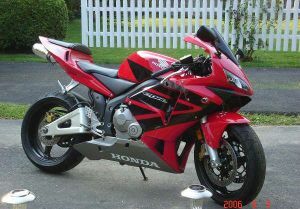 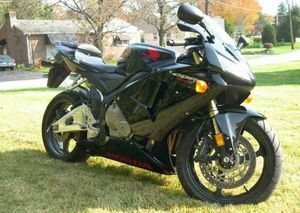 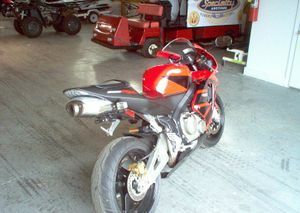 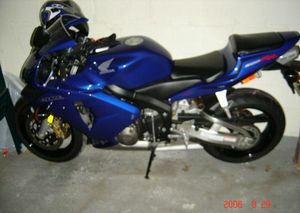 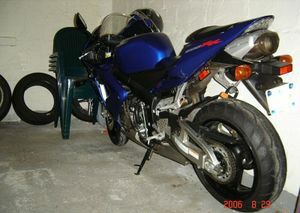 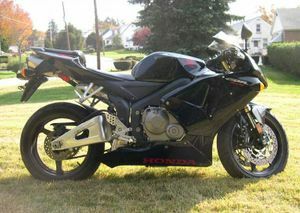 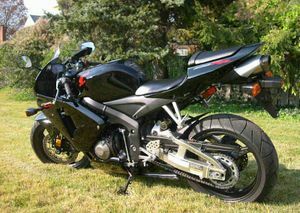 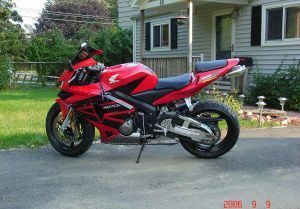 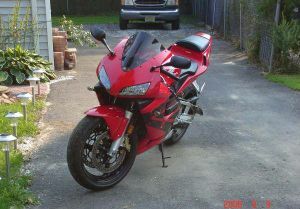 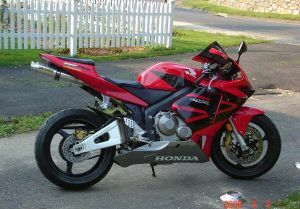 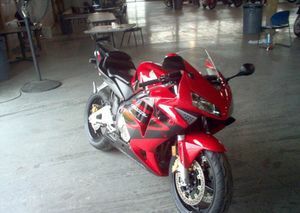 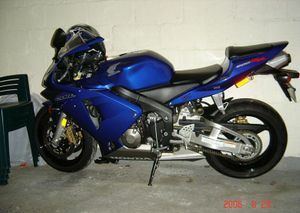 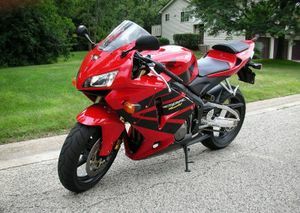 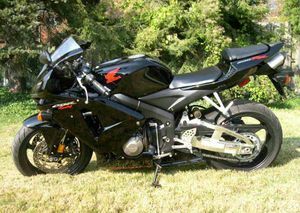 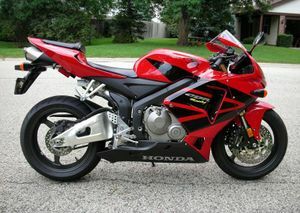 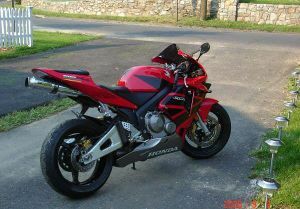 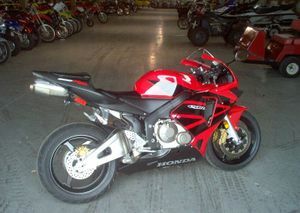 For 2007, the Honda CBR600RR is all new, and is said to have been developed alongside Honda's RC212V. 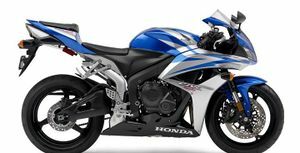 Honda claims the bike is 20 pounds lighter than the '06 model, putting the wet weight at 412 lbs. 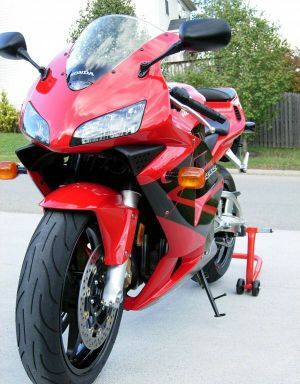 This page was last edited on 28 November 2010, at 20:56.